Each summer, college students from across the country come to the Iowa City – Cedar Rapids (ICR) region for internships, presenting an important opportunity to showcase the benefits of living and working here. 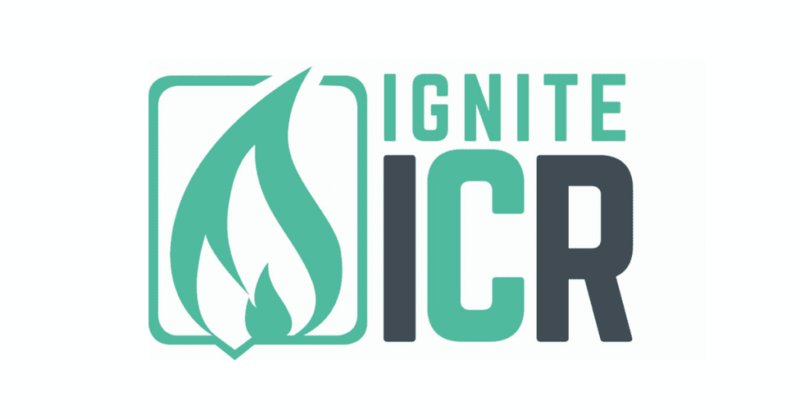 Ignite ICR aims to increase the retention of college students and interns in ICR. The new summer event series gives interns the opportunity to meet one another, explore culture across the region, connect with young professionals working in ICR and imagine a future for themselves in the region. Ignite ICR is brought to you by the Cedar Rapids Metro Economic Alliance, ICR IOWA and the Iowa City Area Chamber of Commerce. Programming is available to both Economic Alliance and Iowa City Area Chamber member businesses. Interested employers can visit IgniteICR.org to learn more and provide details about the number of interns they will be employing this summer for participation in the program. Employers should also plan to add these events to calendars and work plans for interns. Registration for all the events will open May 1. When: Thursday, June 6, 3 – 5 p.m.
We’ll ignite the fire for summer as interns are officially welcomed to the region at NewBo City Market in Cedar Rapids. Activities for the afternoon will include sampling Market vendors, a speed networking event and information about how to make the most of their time in ICR over the summer. Interns will dine at local restaurants across the region while connecting with each other and getting a chance to try something new. Attendance will be limited! When: Thursday, July 18, 3 – 5 p.m.
Big Grove in Iowa City will create the perfect backdrop for the final networking event before students head back to school.